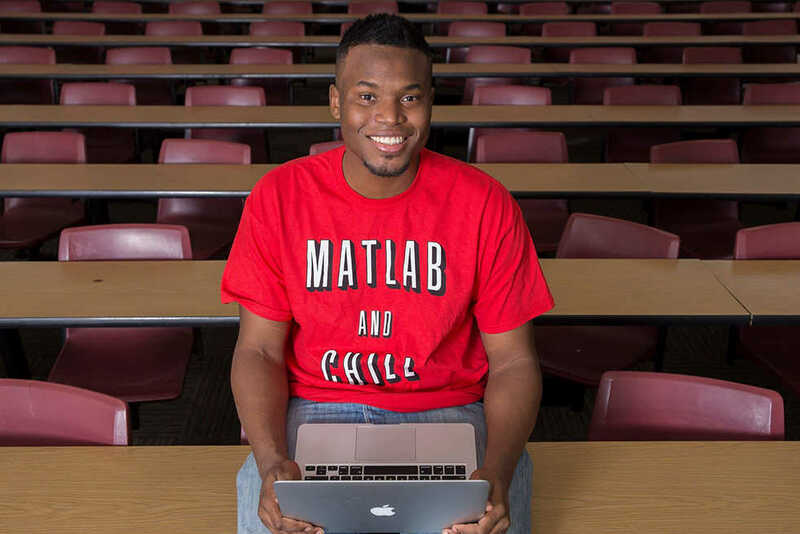 Every semester, thousands of students are introduced to the MATLAB programming language in CS 1371. The course has historically been the low point for a large swath of first-year engineers, subjecting them to a difficult language and tedious work throughout the entire semester (or semesters) that they are forced to take it. Under the leadership of masters student Kantwon Rogers, however, the course’s reputation may very well change. Currently in his seventh year at the Institute, Rogers earned a Bachelor’s degree in Computer Engineering as well as a Masters in Electrical and Computer Engineering before moving onto his current degree program, a Masters in Human/Computer Interaction. That path led Rogers to CS 1371, a course that all engineers must take as an introduction to computer science. He then took on a position as a Teaching Assistant for the class, a role he filled for eight consecutive semesters. After earning his Masters, a prerequisite for leading a lecture course, Rogers decided that it was time to take the next step. The course has already undergone changes with Rogers at the helm. Working with the course’s numerous TAs, he has taken steps to ensure that the workload is more manageable than its reputation implies. His research in computer science education has put him in a position for more “research-driven” ways of doing things, leading him to make changes to the structure of tests and homework. His age, too, has contributed to the new life he has breathed into the course. “It’s the whole notion that they’re closer to me in the sense that they can kind of see themselves in me,” Rogers explained. While his age certainly makes him an outlier among Tech’s employees, he brings a lot more to the table than simply youthful energy. Once the Alabama native finishes his second Masters degree this spring, he plans to begin pursuing a PhD in the fall. Beyond that, Rogers hopes to continue his work in education and, if his long term dream comes true, he hopes to open up a middle school.